How did you two meet? We met for the first time when we were in junior high. We went to a church camp in Southern California with our youth group. We've been friends since then and became best friends, and eventually started dating in our last years of high school. How did he propose? I had been in Israel for three months attending a bible college in Jerusalem. Before I had left we had talked a lot about when we should get married and decided that between semesters would be the perfect time. I knew he was going to propose soon after I got back from Israel, but he told me it would definitely not be the day after. Then, the day after I got back, he picked me up and we watched the sunrise over the city, gave me a white rose and a letter and we took a picture together. This pattern of roses, letters and photos continued throughout the day as we visited several places that had significance to us and our relationship. Finally at the end of the day, we drove up to Pine Valley just as the sun was setting. We got out for a walk and he led me back to a little amphitheater and set up the camera to take another photo. This time when he clicked the self timer, Christmas lights turned on all around the amphitheater and I looked down to see him on one knee. There amongst the twinkle lights he asked me to marry him! Why did you choose the theme of your wedding? The theme we chose was largely based on our venue and the season of our wedding (winter), our love for the outdoors and simplistic style we both enjoy. What made you pick your venue? 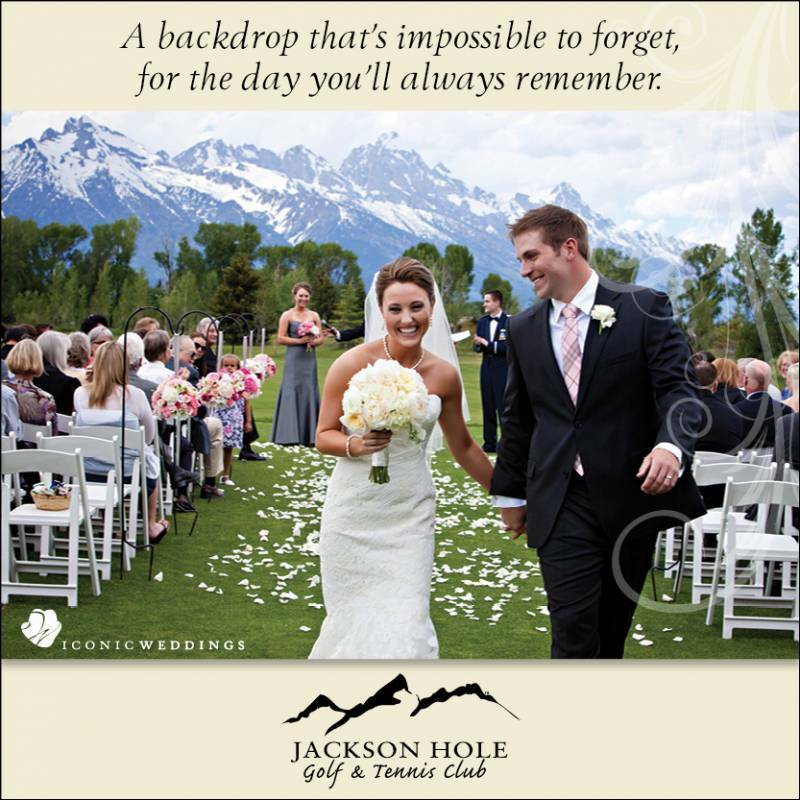 We chose our venue because we really wanted to have our wedding on Pine Valley Mountain, a place where we had spent many hours together and where we got engaged. Also we wanted it to be snowy and it was! Kim - I loved the morning that we spent together before the ceremony, our wedding was at 10 am so we woke up early did a devotion and got to relax and spend some time just the two of us before everyone else showed up. Hayden - For me it was the moment the doors opened and My beautiful bride stepped out into the light. I was unable to choke back tears and that was by far the most memorable part of the day to me. What kind of personal details did you incorporate into your wedding? We had our favorite colors as a large part of it, we had our ceremony outside in the snow, because we both love the outdoors. We had lots of pine needles, pine cones, and different parts of trees incorporated because of our love for trees. Our music choices of course. Most importantly taking communion together was a big part of the ceremony because we wanted Jesus to be at the center of our wedding and marriage. Do you have any advice for someone planning their own wedding? We only had two months to plan our wedding so no matter what time you have you can make it special and unique!